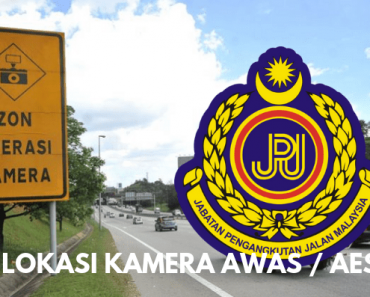 Check Traffic Summons Malaysia Online PDRM, JPJ And AES. Pay outstanding traffic summonses either PDRM (Royal Malaysian Police), JPJ (Road Transport Department) or the Automated Enforcement System (AES) is really easy now. several ways either using website or through short messaging system (SMS). 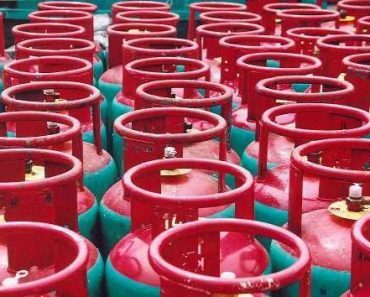 You must register first if you are using this service for the first time. MYEG also provide service that sends alerts to your email when there are new summons. This is a free subscription service. You can check the summons issued by Police only. Click “Check / Pay Summons (es)” in the dropdown menu. You can also make payments using this page via internet banking using CIMB, MAYBANK and RHB. Only for summons issued by JPJ only. Fill in all necessary data, followed by a security code (captcha). Finally click the “Check”. Review results will be displayed at the bottom, under the heading “Results”. You may check summons using mySMS service. A service charge of 15 cents will be charged for each delivery and 20 cents for each message received. on mobile phones and send SMS to 15888 or 32728.
and send to 32728. Detailed summons will be sent to the email address that you provide. 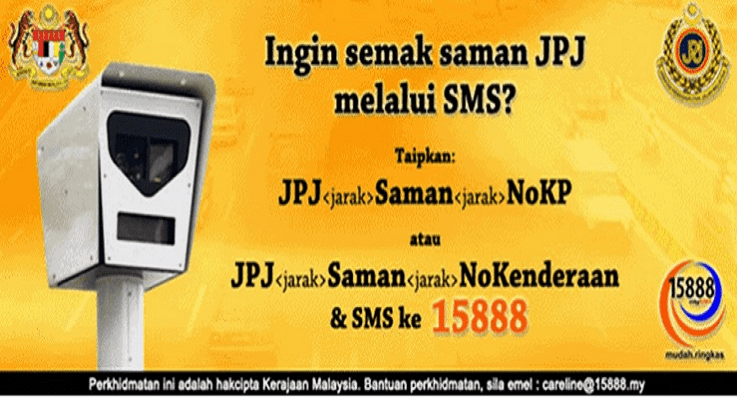 on mobile phones and send SMS to 15888.